Boston Market: Through April 15th, participating Boston Market locations are offering a $10.40 Half Chicken individual meal with two sides, cornbread, and drink! Click here for more details. Bruegger’s Bagels: Through April 15th, you can get the Big Bagel Bundle, 13 bagels and 2 tubs of cream cheese, for just $10.40. Valid at select locations only. California Tortilla: Today only, guests can get a free order of chips and queso with any purchase at participating California Tortilla locations. Just say 1040 when placing your order. 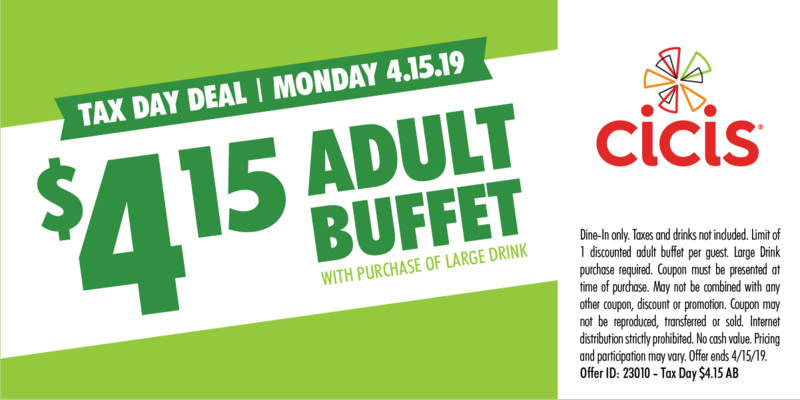 Cicis Pizza: Today only, you can get their unlimited buffet for just $4.15 with the purchase of a large drink. 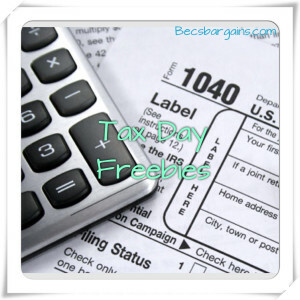 Must present the Cicis Tax Day coupon to get this deal! 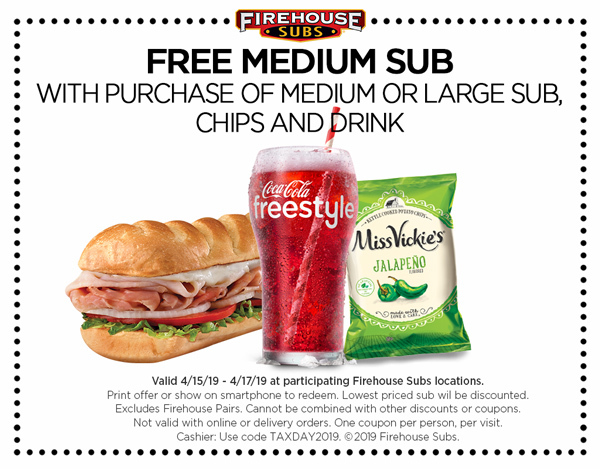 Firehouse Subs: Through April 17th at participating Firehouse Subs locations, you can get a free medium sub with the purchase of any medium or large subs, chips, and a drink with this coupon. Great American Cookies: Today only, you can get a free Original Chocolate Chip Cookie at participating locations. No purchase necessary. Click here for more information. Hardee’s: Today only, visit any participating Hardee’s location between 7AM-10AM and say “Made From Scratch” to get a free sausage biscuit. Click here for more information. Kona Ice: Today only, Kona Ice will be giving away FREE Kona Ice! Click here for more information. Potbelly Sandwich Shop: Today only, you can buy one sandwich and get one free all day long! Perks members can use their Potbelly Perks account and non-Perks members can tell the cashier it’s Tax Day at checkout.